Applicable for all kind of elevators with Permanent Magnet Synchronous Motor (PMSM) and Induction Motor. Don’t touch the high voltage part in the product during adjusting. 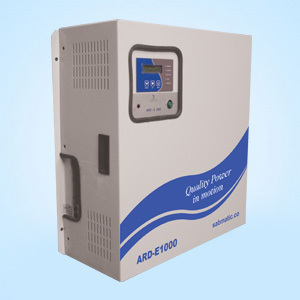 Connecting input power in 3ph/380Vac or 3ph/220Vac can be charging automatically. ARD series (Automatic Rescue Device) is an elevator safety device for emergency rescue when a power failure occurs. ARD will shutdown the elevator after 10sec-delay; and restart the elevator automatic when the main power is back.